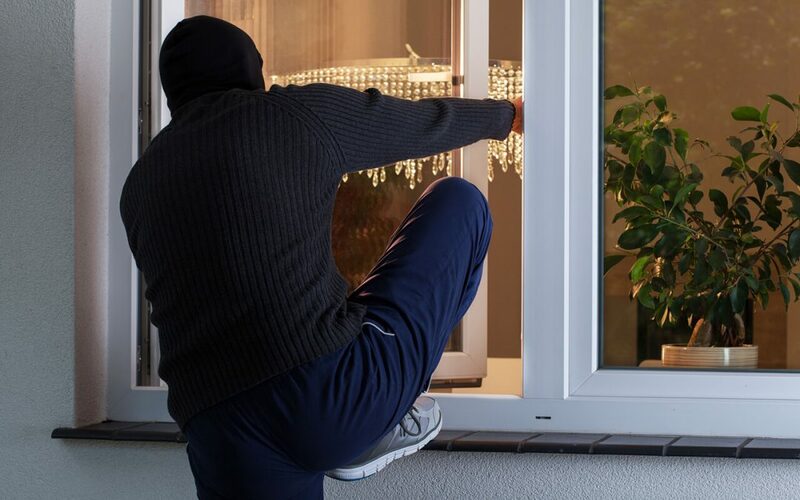 During the holiday season, criminals know that many people leave their homes for several days. With vacant houses and presents everywhere, December is a prime time for burglaries to occur. Because of this, it’s important to take some extra precautions to keep your home safe when leaving for the holidays. Here are some simple tips you can implement so that you can return to your home the way you left it. Although this tip seems too obvious to mention, statistics report that almost one-third of burglaries happen because someone forgot to lock a door or window. Simply double checking all the locks is the first step to keep your home safe when leaving for the holidays. Lots of people splurge on expensive gifts for their friends and loved ones. Even if your presents are wrapped, don’t place them by the windows while you are out of town. If a burglar looked inside, they would know that they could grab many items quickly and easily, some of which would likely be expensive. Having someone drop by the house periodically is a great way to throw criminals off. By having a car in the driveway, the mail collected, and the trash being put out on trash day, it appears that everything is business as usual at your home. A trusted friend or neighbor can help keep your home safe when leaving for the holidays. Smart security systems have many capabilities, all controllable from an app on your smartphone. The footage from surveillance cameras can be monitored from your phone, and electronics like lights and TVs can be turned on and off. You can even use your smart home system to unlock the door for your neighbor checking in and then lock it back after they leave. The best way to keep your home safe when leaving for the holidays is to invest in a smart security system. Whether you leave home before the holidays or for the New Year, keep these ideas for home security in mind. Happy holidays from Robertson Home Inspection.